Born from the sea Natural Pearls are the rarest gems. Don't go diving in the Persian Gulf for some of the best information on these types of pearls, dive through this page instead! The Master of pearl emits a nacre burst of moonbeam light, hotter than the cold surface of any faceted gemstone. natural pearls are formed without human intervention of any kind. composed entirely of nacre. A combination of aragonite and an organic binder called conchiolin. only one in 10,000 wild oysters will produce a Natural Saltwater Pearl. Of those pearls only a very small amount will produce a pearl of gem quality. gem quality pearls are rare. Literally one in a million. nacre building takes years. The larger the pearl, the more layers of nacre have been added. Question: How are Natural Saltwater Pearls formed? Answer: In an effort to protect itself from an intruder, the oyster coats the irritant with layers of nacre, also known as mother-of-pearl, the same substance it uses for shell-building. Like all mollusks, pearl oysters react to foreign objects that lodge against their soft inner body where it cannot be expelled. To ease this irritant, the oyster begins to secrete nacre, a smooth, hard crystalline substance around the object in order to protect itself. As long as the irritant remains within its body, it will continue to secrete nacre around it, layer upon layer. Over time, the irritant will be completely encased by the silky crystalline coatings. When people say, a string of pearls is perfectly matched, they think the pearls are matched for size and shape. Any jeweler's apprentice can match a pearl for size and shape. This is simple mathematics. Because pearls are not very high on the Mohs Scale, store pearls away from other types of Jewelry and protected from any dust particles; dust and perfume are master pearl's worst enemies. All types of pearls, including Cultured Saltwater Pearls can be damaged by dust and their cool skin injured by the chemicals in perfume. Dust contains tiny particles of quartz that is a mineral a lot harder than Pearl on the Mohs hardness scale, and over time the quartz in dust will scratch and age a Pearl. Her Majesty, Queen Elizabeth II, is said to favor Pearls, although she has acquired some of the finest and rarest diamonds, rubies and sapphires. Some people are born with an eye for a pearl. Even experience in the trade is not enough. Some people seem to have what others cannot learn, the gift of knowing. They are born with an eye for a Pearl, as some people are born with a gift for music or art. From the list of gemstones born of the earth, it is the natural wild Pearls, born of the sea, I find the most beautiful. Perfect at birth, their natural beauty needs no improvements and their qualities are far more subtle than the cold surface of any faceted gemstone. Pearl connoisseurs who understand how to invest money in pearl, know that while other precious gemstones receive careful treatment from the lapidary and owe much to his art, wild natural pearl are born free. They owe nothing to man; a true gift of nature. A variety of Natural Pearl saturated with incomparable blue color is the ice-blue maiden Pearl - Natural Abalone Pearls. A necklace string of these subtle blue colored pearls have no comparison. The two supreme marine pearl necklace masterpieces, are the Baroda Pearls, formerly owned by the Maharaja of India and La Peregrina Pearl with its classic pear shaped body. La Peregrina was acquired by Richard Burton for Elizabeth Taylor who passed away on March 23rd, 2011, aged 79 years. 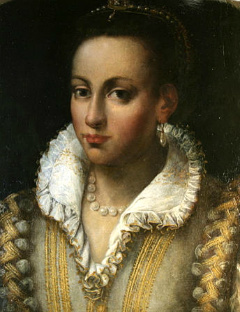 Throughout the ages, little pearls have been the common lingual-franca denoting purity and elegance. Pearl is the talisman wedding gem and anniversary stone for a traditional 30th wedding anniversary. If you would like to own a Natural Pearl, consider investing in Georgian jewelry. as you may be lucky enough to find one or two natural marine pearls among fine Antique Jewelry of the Georgian period. If you would like to understand how to care and clean pearls, information on how to clean and care for Pearls can be found here. Many love affairs with jewelry start with a good book. The Pearl by John Steinbeck, was one of my English set texts; it started my love for Natural Pearls.. The Pearl of Pearls is a rare find indeed and if get the chance to hold one of these little Pearls in your hand, which is never long enough, it is a great privilege. And what can one say of the very large pearls, larger than even the Australian South Sea Pearl? The Giant Dubai Saltwater Pearl and the very rare aragonite Pearl specimens are so large they are considered freaks of nature rather than accidents of Nature. See also the Arco Valley Pearl - The Second Largest Pearl in the World. Master Pearl has captured the heart, of more than one master painter who have immortalized their natural beauty on canvas. The famous painter, John Singer Sargent (b.1856) who painted wealthy belle Époque beauties, including the Duchess of Portland, 1864-1954) had an eye for Pearls. 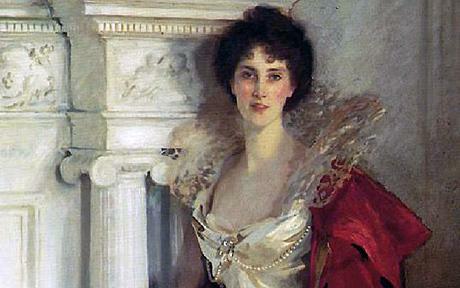 Singer Sargent painted a full-length standing portrait of Winifred, Duchess of Portland in 1902 (see image above and reference at end of page). 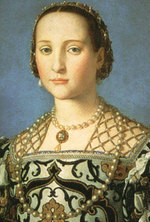 She is wearing a long white ankle-length satin gown, with lacy stiff standing collar, and red velvet cloak. Below her bosom, strands of pearls festoon across her corsage from a diamond and pearl brooch. It the same brooch the Duchess wore with her coronation robes five years earlier at the 1897 Devonshire House Costume Ball, in celebration of Queen Victoria's Diamond Jubilee. Sargent used seven brushstrokes to paint each pearl and each stroke using pigment of a different color to create a realistic painting of a single round pearl white. An earlier artist with an eye for Pearls, was the seventeenth-century Dutch master, Johannes Vermeer whose absolute masterwork, 'Girl With the Pearl Earring' captures the precise realism of the Pearl of Pearls. The actual body color is no part of the pearl connoisseur ship equation, according to Richard W. Wise, author of "Secrets of the Gem Trade." "No particular hue or color of a Pearl is more beautiful than another." What Richard describes as "Simpatico" meaning the color is compatible with the skin of the wearer, is what's important. Identifying and Matching Pearls isn't easy, but there are conclusive Natural Pearl tests. Grading Natural Pearls can be as simple as it is complex. Japanese Pearl divers and old-timers would look primarily at their Shape, Symmetry, Skin, and Complexion. Complexion is compared to a Pearl's luster. The luster and its delicate play of colors depend upon the perfection of the Pearl's surface. Under Jeweler's Loupe magnification you can see the surface of a Pearl is delicately rippled. When light strikes the ripples, it refracts into a play of colors. The delicate play of colors, depend upon the perfection of the pearl's surface, causes light to reflect from the overlapping platelets of aragonite. The iridescence comes from the light striking up at different angles from the rippled layers. The oyster secretes the nacre which builds up the Pearl layers, like the inside of an onion, and the reflection from the buried surfaces through the outer transparent layers, determines the beauty of the gem. The quality of the nacre depends on the positioning inside the shell. The purest gems are mostly found in the softest parts of the oyster. Latitude, meteorology, sea conditions, nature of plankton in the surrounding area, soil of the ocean floor, genetic originality of its mother and the health of the oyster all determine the quality of a Pearl. Today, because of over-fishing and pollution, Pearl stocks are depleted. Only about half of one per cent of the world's Pearls are Natural. One in a million pearls change hands among private collectors. Most are recycled from the past and tend to gravitate towards the world's treasuries. They are a rare commodity and few Natural Pearls are available on the open market. Start Your Pearl Valuation Today!